It has been a long time coming but finally.......I put aside the time to learn how to make video tutorials. To date I have completed three. The first was a little one for a simple project for Valentine's Day. Check out this tutorial on the Cube Heart Shadow Box. This shadow box can folded flat and be mailed! 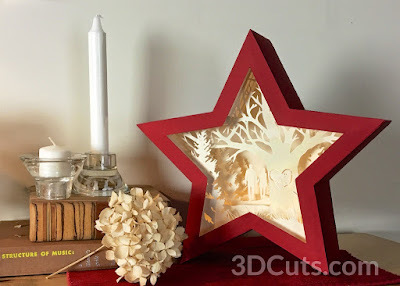 Then I got brave and created a video (well actually four) of the steps for assembling my new Heart Tree Star Shadow Box. This is the most complex paper crafting project I have designed but it has some neat engineering in it to help others also create it....and that is so much easier to demonstrate in a video. An exciting special note on this video is that it also applies to the Deer in the Forest and the Horses in the Pasture Star Shadow boxes. I used the same techniques in all three. 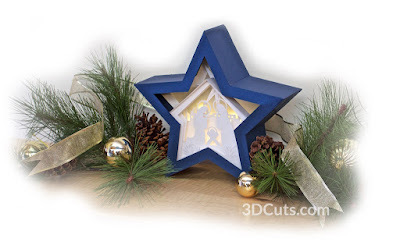 And, although the timing is certainly a little late, I just uploaded the video tutorial for the Star Nativity Shadow Box as well. Maybe you are inspired to start prepping for next Christmas! Illuminated Star Show Box cutting files here. 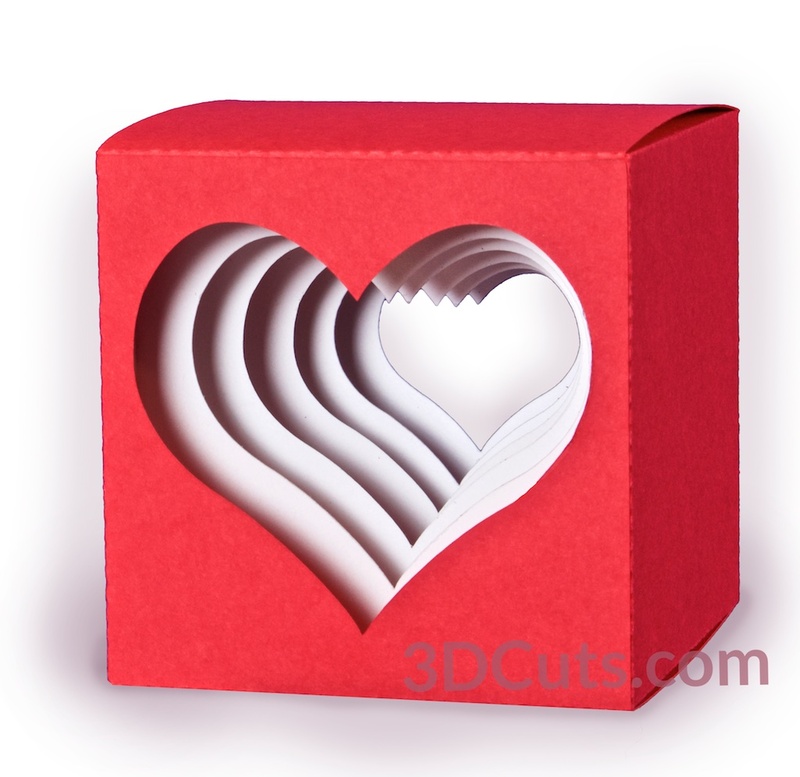 Heart Cube Cutting File here.